Robin Lawton is an internationally recognized author, executive coach and expert in creating rapid strategic alignment between enterprise objectives and customer priorities. Rob has directed strategic and operational improvement initiatives since 1985. He coined the term “customer-centered culture” with Creating a Customer-Centered Culture: Leadership in Quality, Innovation and Speed (1993). His fourth book, published in 2017, is Mastering Excellence: A Leader’s Guide to Aligning Strategy, Culture, Customer Experience & Measures of Success. Both books are 5-star rated at www.Amazon.com. Thousands of leaders have used his powerful but easy-to-understand principles, strategies and tools to improve and measure service, knowledge work and customer satisfaction. 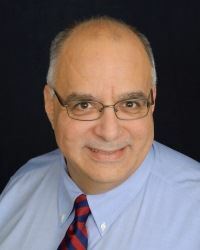 Mr. Lawton has been ranked #1 of 88 speakers by ASQ and featured by leadership organizations such as the Japan Management Association, Chamber of Commerce, Federal Executive Board, Association for Manufacturing Excellence, American Marketing Association, International Standards Organization, Society of Health Systems and many others. Rob’s presentations integrate audience participation, humor, music, video and current events. The result is a highly inspiring, personally relevant and insight-producing experience you won’t forget and will feel compelled to act on, using the tools he provides.